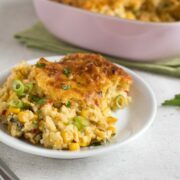 We don’t celebrate Thanksgiving in the UK, but if we did, I imagine this cheesy sweetcorn pudding is the kind of thing I’d serve. It was definitely inspired by some of the Thanksgiving-style dishes I’ve seen online (you Americans are so good / weird with the sweet-and-savoury thing). 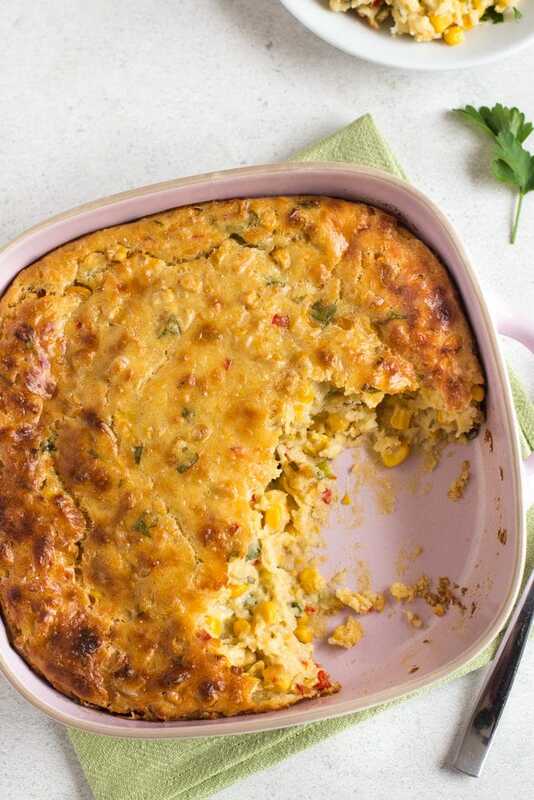 Plenty of sweetcorn, plenty of cheese, all encased in a soft, puddingy mixture – delish. 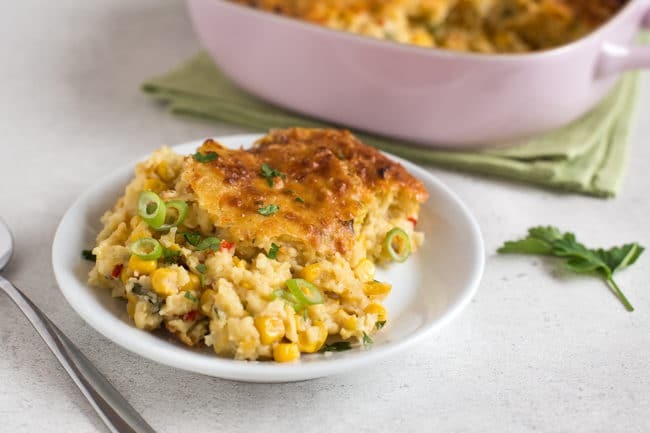 I’ve actually made a sweetcorn pudding / casserole in the past, years and years ago, and it’s one of the more popular recipes on my site (to quote from my favourite film, it’s bizarre what some people find attractive – the photos in that post are horrendous). So I thought I’d give it a bit of a revamp. This time I didn’t use the slow cooker (although you could certainly try it, if you like). The end result was perfectly puddingy, with flecks of chilli and spring onion, and of course all that sweetcorn! It can be a bit tricky to find tins of creamed corn in the UK – it’s not particularly common here. But I know it can be done, as I bought a tin myself. Just keep searching, or buy it online. 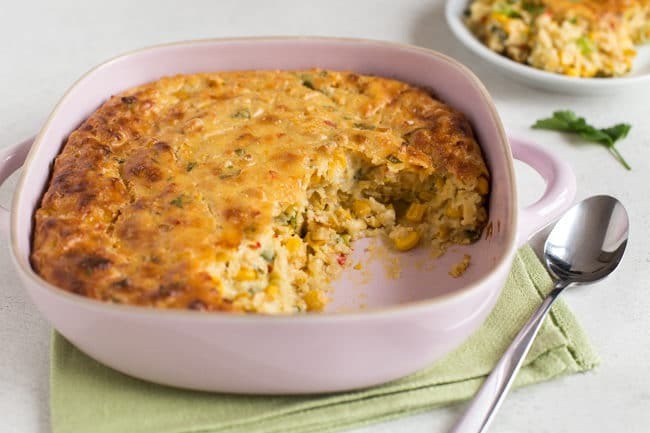 It looks a bit strange in the tin, but it adds an extra creaminess and a more intense sweetcorniness (yes) to your cheesy sweetcorn pudding. 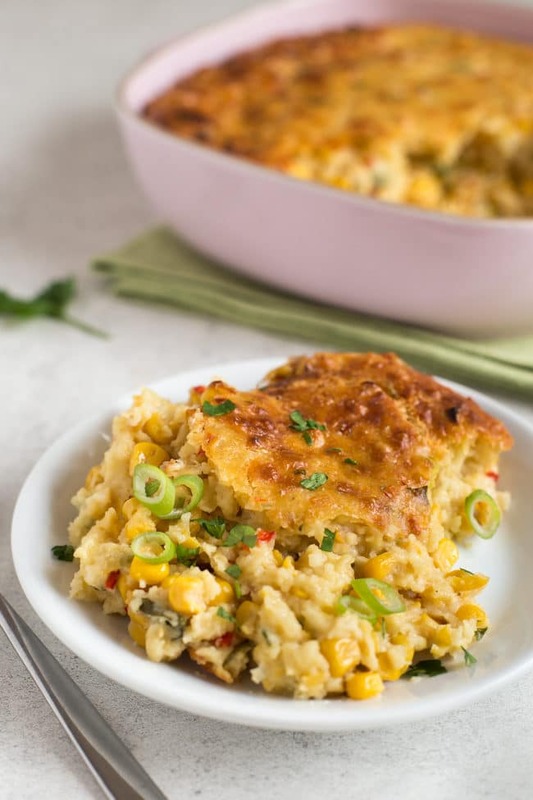 I’m not too sure how else you’d serve this cheesy sweetcorn pudding other than as part of a big Thanksgiving-style feast – it’s not quite a main course, but seems too fancy to serve as a side dish with a normal meal. I suppose you could just eat it straight from the dish with a spoon, if you fancy. Seems like the best option to me. Combine all the ingredients (except for the spray oil) in a large mixing bowl, and mix thoroughly. Spray a casserole dish with oil, and add the sweetcorn mixture. Bake at 180°C (Gas Mark 4 / 350°F) for around 50 minutes, or until the mixture has set in the middle, and is golden brown on top. Got some more sweetcorn? 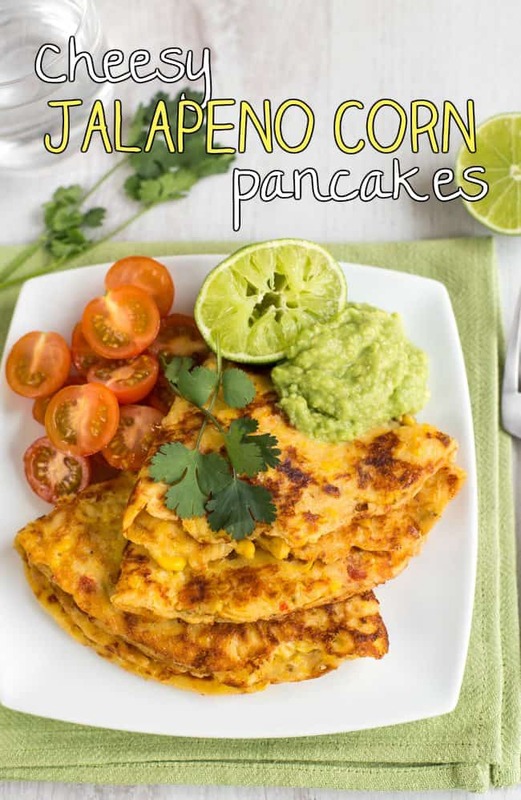 Make my cheesy jalapeno corn pancakes! Yeah I find the marshmallow and sweet potato thing really bizarre! Not sure how I’d like that. I have certainly whizzed up a tin of sweetcorn in a blender, with good results. I have seen creamed corn in the shops here, but it’s horrendously expensive compared with ordinary sweetcorn! Yes creamed corn is a bit expensive, it’s worth it though for the odd experiment I think! 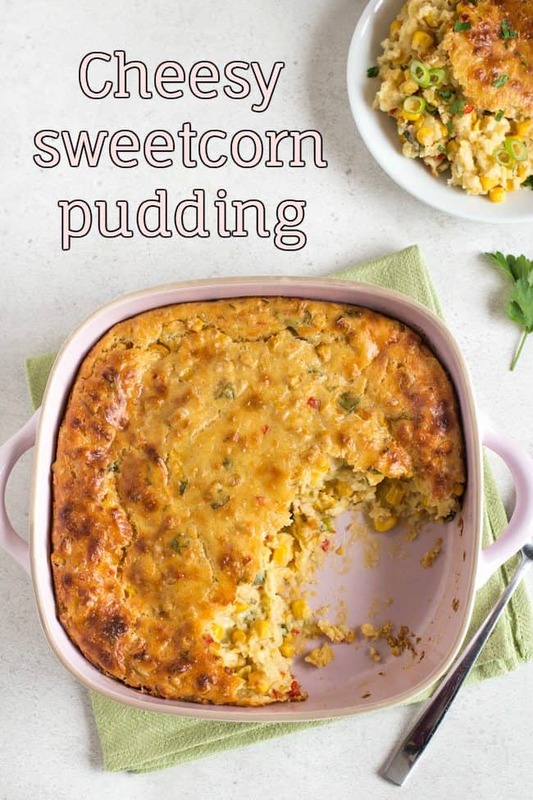 I’ve not tried whizzing up sweetcorn but you could definitely give it a go – tins of creamed corn are fairly sloppy though, so you might need to include the liquid too. You have the best cheesy recipes! 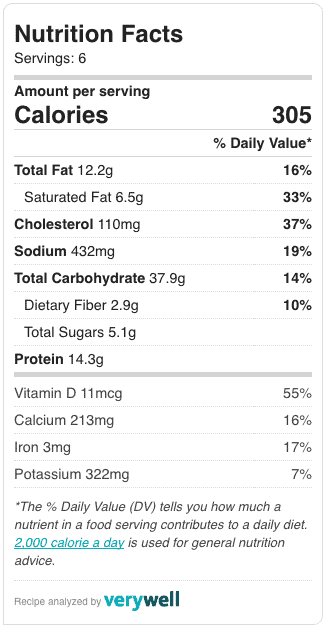 I did think this was going to be a dessert at first, but I would happily just eat this with a spoon. This is all I need this Thanksgiving. I’ve always loved corn casserole- but this one looks INCREDIBLE! Definitely need to try!